Most of our work is from repeat clients and their referal, that is showing how many satisfied our clients we have. we welcome new business everyday! We are a big team all with different specialtie­s set of skills that thrives to provide our clients an Honest Fair Service at a Honest Fair Price. Michael and his team of Hero's are here to help. Team combined of 80 years experience in home renovation and maintenance. Together we can tackle almost anything . We fix small holes all the way to gib fixing and plastering a entire house. We specialize in removing wall paper,sealing and skim coating with the best product in the market to deliver the best possible finish for your walls and ceiling. We can provide a high standard of all aspect of plastering including coving,cornice and square stop finish. Exteriors plastering? we can do that too!! Our painters have close to 80 years combined experience and are masters at what they do. You name it we PAINT it. All work done the proper way sanded,nicely prep one undercoat and two top coats. All paint used are Dulux or Resene PREMIUM paints. Includes interiors, exteriors, roofs, fences, concrete . We can COLOUR MATCH any paint from any other brand!! from demolition to final fit out, we have all the right guys for the job to save u money and more importantly stress! Give us a call on your next renovation and i personally guarantee Satisfaction ! Super happy with Michael and his team. They undertook a job for us over the Christmas break and not only did a top notch job but liaised with other tradesman when issues arose without any fuss. Highly recommend. Hero Painting and Property Service built our new fence. They have planned and delivered on time with high quality finish. I highly recommend them to anyone planning to start any home or house project. Hero's team is the colleague of excellence and trust. I was very pleased and impressed with the responsiveness from Michael - first in quoting and then in actually getting the job done. He made a special effort to do the job while my tenant was away, and the two rooms were available to paint.The quality of the work done by Michael and his team was top notch. The guys were careful to move furniture out and this was all moved back in again afterwards. He provided a very good service and I felt also gave great value for money. I'm a repeat customer of Hero Painting & Property Services because I always get a great end result and for a very reasonable price. Communication is good and the job is not complete until the customer is satisfied. Thanks again! 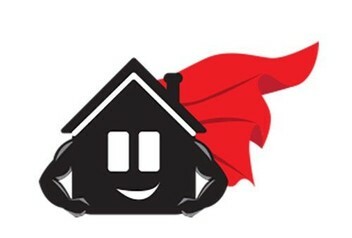 Will definitely continue to use Hero Painting & Property services in future. I am so impressed by Michael and his team. They are punctual and tidy. I had a urgent job of replacing rotten floorboards and the job had to be done over a weekend, Michael and his team came on time on both days and did a great job with good quality materials. They were so good, even the vinyl installers were impressed by how they managed to match the level of the new floor boards with the old. I would use them again in a heartbeat. Michael and his team made an amazing job of completing my fence project.I still get comments to this day enquiringly "who Bulit your fence" to which I have much pleasure of informing people.The workmanship with a great prompt and friendly service was outstanding. I know where to return for any future jobs. Thank you so much. Carol?? Michael, Junior and Moses plastered and painted our bathrooms. They started work very quickly and used quality materials and finished the job on time. He went above and beyond what we asked him to do. Moreover his team installed our new shower enclosure as well when our planned installer didn't arrive. He is quick to respond to texts and professional! Will definitely recommend him to family and friends! Thank you Michael! This is the second time I have used Michael and his team, plastering the ceiling and walls, sanding, tiling the splash back and grouting. The team did a great job, and the communication was always great. Recommend these guys any day! Michael and his team did a great job and we have now booked them in to do a few more jobs around our property. We are very pleased with their work. Michael and his team have done one repair & one reno for me. The resulting work was brilliant! Plus he was reliable, had good ideas and did the work he said he would. And charged a very fair rate! Will use again. Found Michael from NoCowboys as I had an urgent job needed to be done before listing my property for sale. Gave him a call, he came around the same day to quote and stated he could start work ASAP. Got it done in time and was please with the work done! The price was very decent as well! Also called him up to do a 2nd job on the property to get the roof fix. That was done to a professional standard too! Will have him involve in my next reno! DO NOT GO NEAR THIS GUY. ABSOLUTELY GHASTLY EXPERIENCE. KEPT DEMANDING MONEY ALL THE TIME. ONCE THE JOB HAD BEEN FINISHED WE FOUND THAT THE WORK HAD NOT BEEN COMPLETED AS HIS QUOTE TO US. WILL NEVER DEAL WITH HIM AGAIN. STAY AWAY FROM THIS GUY!! Michael and his team did a fantastic job on our place. We had some tight timelines and he delivered to a very good standard. Highly recommend. Great team. Nothing was too much trouble. Thanks heaps. Due to a botched job on our toilet and being left without one for over a month, we needed to find someone to fix it. We contacted several tilers and Michael responded quickly, was professional, friendly and very efficient. Michael and his team completed the job to a very high standard with no disruption to my family. They work really fast and very neatly. So lucky to have found them, we now have a guest toilet we are proud of!